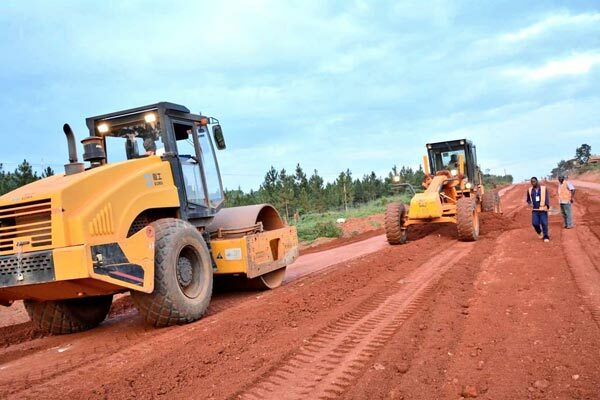 MASAKA- Government, through the ministry transport and works and Uganda National Roads Authority (UNRA) are to spend Shs165.5B on the construction of Nyendo-Bukakata road. The money is part of the US$ 27 million loan government secured from the Arab Bank for Economic Development in Africa (BADEA) and OPEC Fund for International Development (OFID). The 41 kilometers road which connects Masaka district to Kalangala Islands through Bukakata landing site has been appearing in the last thirteen National budget framework papers. The road would become unmotorable during the rainy season given its sorry state. The Works and Transport Minister, Monica Ntege Azuba, says the road will be upgraded to class II Bitumen standard and that it will be 7 meters wide. “It will have 1.5 shoulders wide on both sides and a thickness of 200 millimeters, the minister said. Azuba also notes that the two-year project will also cater for an additional 8-kilometer road stretches around Masaka municipality. In his speech to residents at Kasana community playground in Nyendo during the commissioning of the construction, President Museveni noted that government chose to fulfill its obligations basing on priorities and available resources. Museveni cautioned residents to fully embrace government programs and improve their household incomes so that they can be part of the broader national development initiative. Willy Lugoloobi, the Kalangala district chairperson, said the road works have been long overdue, arguing that the road has been subjecting them to untold suffering given its current state. The government has contracted Arab Contractors — Uganda Limited to work on the road. Minister Azuba said roadworks will officially begin in January 2019.